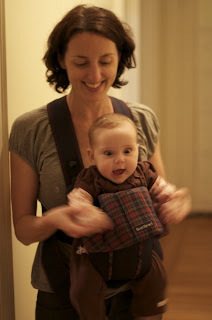 Mati gets so excited in her carrier. Her waving arms and legs are a blur. 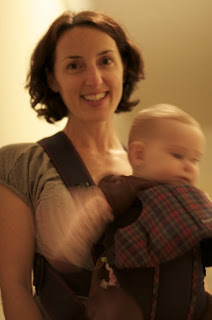 Many thanks to Katie for giving us the Baby Bjorn.